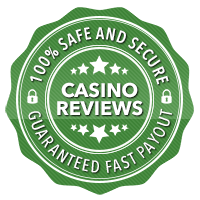 What Makes A Reliable and Trustworthy Online Casino Reviews? If you’ve tried to find somewhere new to play online recently, you’ll almost certainly have come across an online casino review or two. Perhaps you sought them out, so you could glean insider insights from those who know more about different online casinos than you do. Or maybe you stumbled on to a review from a search engine or advert you saw, promising you the no-holds-barred low-down on what you can expect from a given casino or other. Online casino Reviews are hugely helpful for players, and the fact of the matter is, they’re a main way new players are introduced to different casino brands. Unfortunately, the Internet is not universally a source of truthful information. This extends to reviews of online casinos, particularly when you factor in that there’s money at stake for the reviewers. When you sign up through an online review, you’re earning the reviewer a commission – sometimes even a share of your losses. That means there’s a potential conflict of interest there from any review that’s suggesting it’s on your side, but is in fact in the pay of an online casino. So how can you tell trustworthy, reliable reviews from those written to convince you to sign up at any and all costs? There are a few methods you can use to make sure you’re getting the true picture. Not every reviewer is created equal. Some sites purporting to be independent reviewers are actually review mills, pumping out generic review after generic review. These reviews will tell you everything is wonderful, and you should definitely sign up with every casino – in the knowledge themselves that this isn’t quite true. In fact, some casinos that are widely given positive reviews are actually bordering on dodgy, with legions of customer complaints and a belligerent attitude to dealing with their customers. Others actually do what they say on the tin, and won’t sugar coat it if they think something is lacking or a feature is missing. So when you’re reading reviews, a good rule of thumb is to think about whether it sounds genuine. Are you really reading about the perfect casino without a single flaw, or is it more likely a review that’s been bashed out quickly to add to the content count of the site in question? 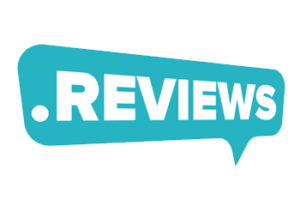 If you find a reviewer or Online Casino Reviews site that you trust, that’s a good thing, and a relationship you should cherish into the future. You want to make sure that you are taking advice from a trusted source, so if you do come across a good site or a reviewing style you like, make a note of the URL – it might well come in handy next time you’re looking for a good bonus, or a good casino to play online. You would be amazed at how many gamblers search out reviews, only to look for the key pointers before signing up. Identifying thin or fake reviews is all the more difficult if you’re not actually taking the time to read them fully – from start to finish. Sometimes, you’ll come across a review that looks legitimate or trustworthy. But then, when you read to the bottom, you’ll come across examples of overly promotional language, all designed to get you to click that button and open that account. Similarly, some reviews might seem to be too positive, but when you read throughout them in detail, you discover they are actually genuine – complete with relevant criticisms and problems that you might otherwise overlook. Just like reading the small print before you sign a contract, you should really read and study the reviews being presented to you. That way, you’ll be fully equipped to judge if a review is legitimate or not, and therefore build a better idea for yourself as to whether or not you should follow their recommendations. Don’t just take the reviewer’s word for it – look for comments from other players, and feedback from those who themselves have been involved with different reviewed casinos. A player comment can be worth so much more than a straightforward review, especially for highlighting the bad elements of a given casino site. In practice, all but the very top names in the industry usually have some problems you might want to find out about before you sign up, and user generated comments are a good way of clarifying the downsides in your mind – from someone you know isn’t closely associated with the casino in question. The more user comments and player ratings you can find in or supporting a review, the more confident you can be of its recommendations. It’s just one of the ways you can shore up the legitimate reviews from the questionable reviews, to make sure you’re getting the best deal. If you’re still in doubt about a certain review or its findings, it’s better to be safe than sorry. Most good casinos have been reviewed dozens if not hundreds of times online, so you should be able to find other reviews relatively easily. Read multiple different perspectives, and acquaint yourself with what others are thinking might be the pros and cons of different casino sites. By reading more widely, you can develop a more rounded picture for yourself, which can help you make more informed decisions about the integrity of individual reviews. It isn’t always easy to tell at a glance which reviews are real and which reviews are fake. But with a clear head and a focused mind, it’s possible to build a better idea of who you can trust.